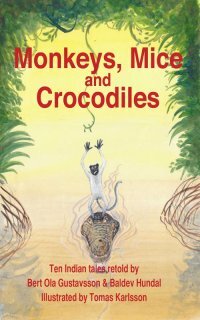 Monkeys, Mice and Crocodiles is a collection of ten illustrated stories from Indian tradition. All the stories are in classical style with funny scenes to laugh at and wisdom collected over generations. The tailor who cheated the king, the mice and the elephants, and the woman who altered the passing of time, and the other stories are full of lessons for all ages.